In late August 2017, SEI staff trained Shichida China instructors across various parts of China using the latest research results. Thirteen instructors were also newly certified as official Shichida instructors. 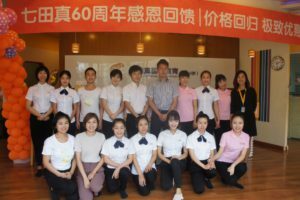 Shichida China is showing continuous development with two more Centers opening in Shanghai and one more in Hangzhou. More and more Chinese children are growing into future leaders through the Shichida Method. The 14th Singapore Center is Open in Woodlands! Shichida Publishing Events a Huge Success in Vietnam!